Picture received from Richard Hunt (UK) taken on the Tankerton Slopes in 2004. There was a rally which toured the area of Canterbury with a stop outside the Marine Hotel. Richard is a keen photographer and will be entering photos into a competition where the name of the car would be an asset. The picture is of the 1896 Fisson made in Paris, of the only car of this make still surviving. 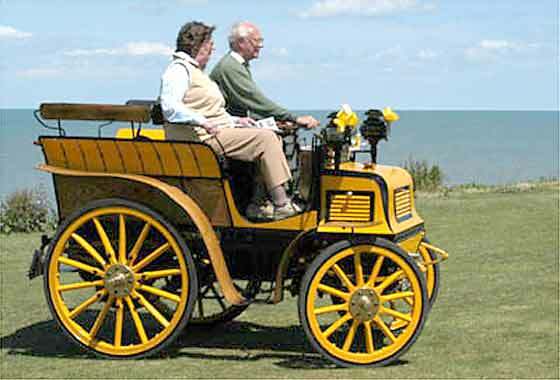 Only a few cars were made between 1895 and 1898. The car appears to have been on the 2005 Brighton Run. Two postcards from Bill Taylor (UK) from an album, obtained by his grandfather, compiled by a Mnsr. Ernest Odant, a Director of a glass factory in Belgium. An employee, Mnsr. 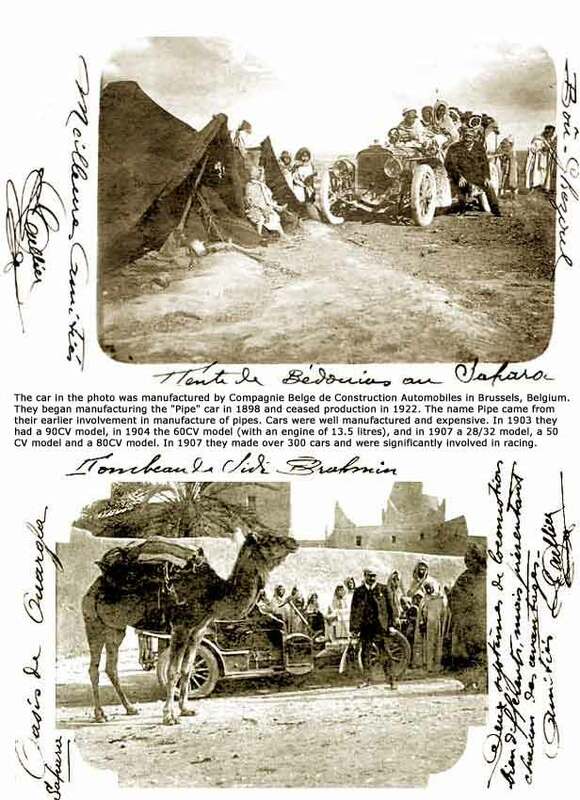 E. Dulier had sent the postcards from the Sahara Desert while traveling in Africa. 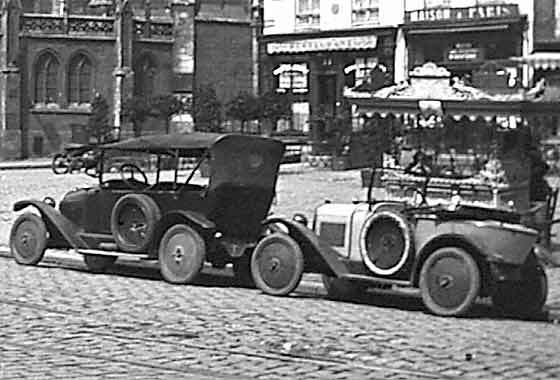 The 1906 Pipe car was made in Belgium by Compagnie Belge de Construction Automobiles in Brussels, who were at the time the largest car producer in Belgium. Unusual photo from Toby Long (UK) taken in India and found by Nicholas Rhodes a specialist on the Himalayas and Tibet, and Himalayan Railway Club. The car proved to be a cca 1907 Laurin & Klement Type A voiturette made in Czechoslovakia. Interesting rear jump seat. L&K started with bicycles in 1895, started with motorcycles in 1899 and started on cars in 1905. L&K made some impressive vehicles, including commercials and tractors, merging in 1925 with Skoda Steel of Pilsen. Photo received from Peter Guyton (UK) taken at the home in York of his great grandfather, the Lord Mayor of York in 1880. The house is now an MOD army office. The car owner is one of his sons, Harold Hartley Wilberforce, Peter's great uncle. The car is a 1909 Austin 15HP Tourer. The registration helps to date it. The last DN registration in 1908 was DN 180. 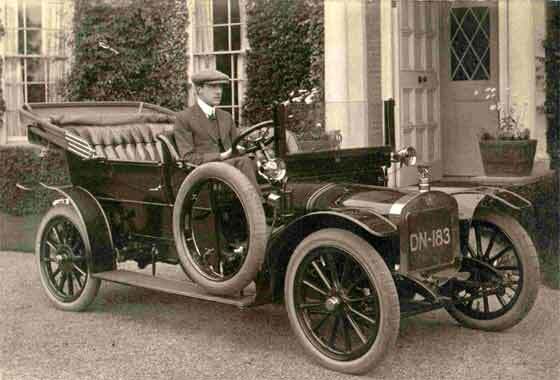 This 15HP Tourer was only made in 1909/10, and was the smallest car Austin made in that year. It had a four cylinder engine of 2539 cc. Photo received from Mike and Sue Skilton (UK) of Sue's grandfather's car. The registration number is DU 6140 and he is apparently the driver. We understand that the photograph was taken in 1913. 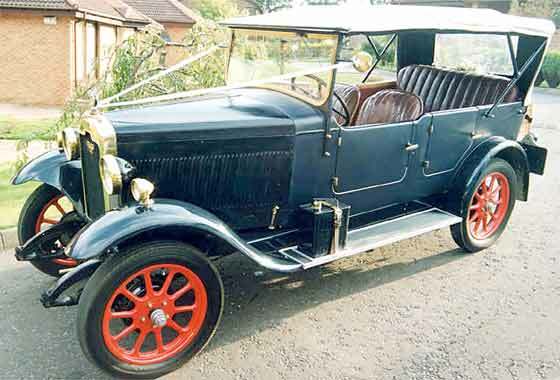 We can advise that the car is a cca 1910 Rover 8HP Swing Seat Tonneau. These were made between 1904 and 1912 and differ from the 6HP by having no front dumbirons. The car had a single cylinder engine of 1327cc rated 8HP/900rpm. The reg. DU indicates the car was registered in Coventry. Picture received from Adrian Hall (UK) showing his great uncle in the driving seat and his two brothers in the rear (middle being his grandfather), possibly posed, asking if it was a Humber. 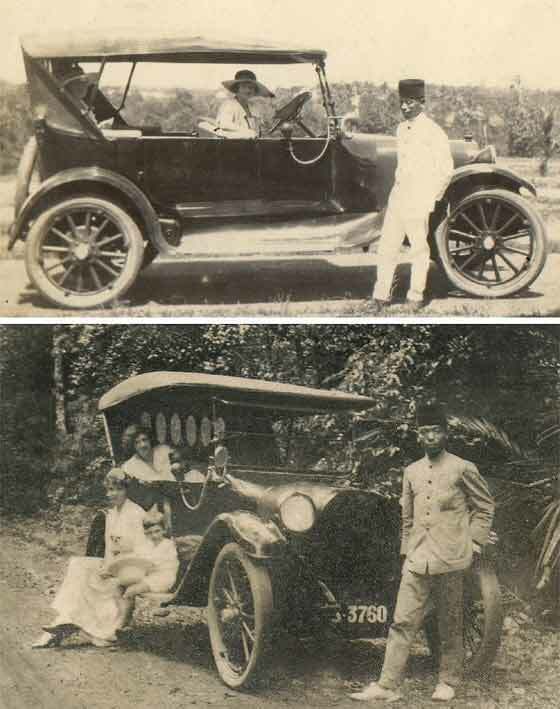 Research has concluded that it is in fact a 1910 Belsize Landaulet. 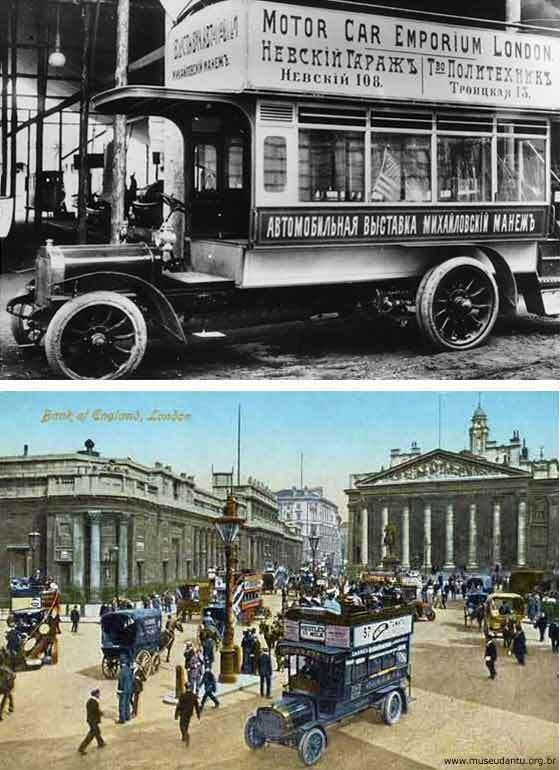 What is interesting to note is that it is a taxi because it seems to be fitted with the continental circular taximeter (introduced in London in 1907) to the left behind the driver, hidden by the steering wheel. The 'flag' is upright. Lovely picture received from Hillary Gill (UK) of her great grandfather's steam lorry. They were always told it was a Stanley. Can advise however that the vehicle is British and is a cca 1910/12 Foden 5 ton. 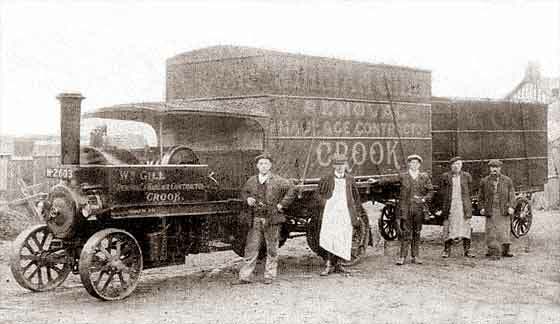 A very similar lorry is still being used having a registration of M4673 and is dated 1913. Theirs looks like being M2603 and therefore is a little earlier. 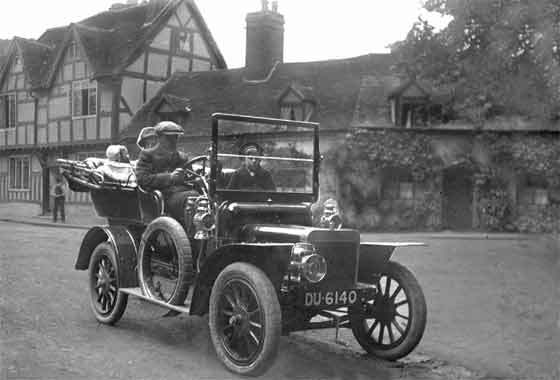 A similar Reg M2602 was indicated as being new in May 1910. Hugh O'Neill (UK) found an old diary written in Belfast in 1915 mentioning a brother getting a Ford and he having his Douglas. Two 'Douglas' cars were made, one in USA and other in UK. Am assuming UK, so this is by the same company in Bristol making motorbikes. Car production started in 1913 and went to 1922. 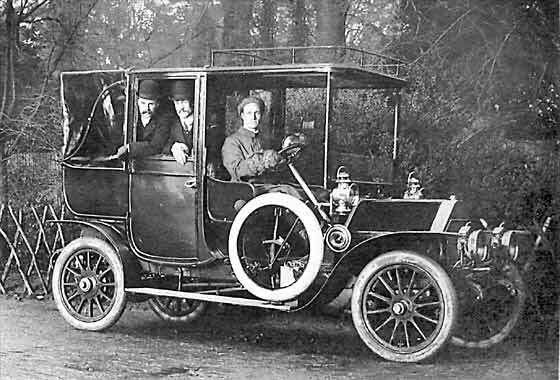 Well made expensive Cyclecar type of car, originally 1070cc 9HP, enlarged after WW1 to give 10.5HP, fitted with a two seater tourer body. Only a few hundred made. Couple of lovely photos received from ex Brit John Roberts (USA) of his grandmother and his mother, then about 18, taken in Penang, Malaya around 1920-1922. Grandfather was from a Cornish tin mining family, managing the tin-smelting works at Penang. The car is a cca 1919 Dodge 4 Seater Touring Car, then probably quite new. Mother married shortly after in the wilds of Trengganu. Other members of the family were involved in later Japanese problems of escaping from Singapore. Photo received from Tom Jacobson, San Diego (USA) requesting identification of the two cars on the photo. He was trying to date some photographs that they appeared in. He wanted to know model and date? The cars were both Citroens. 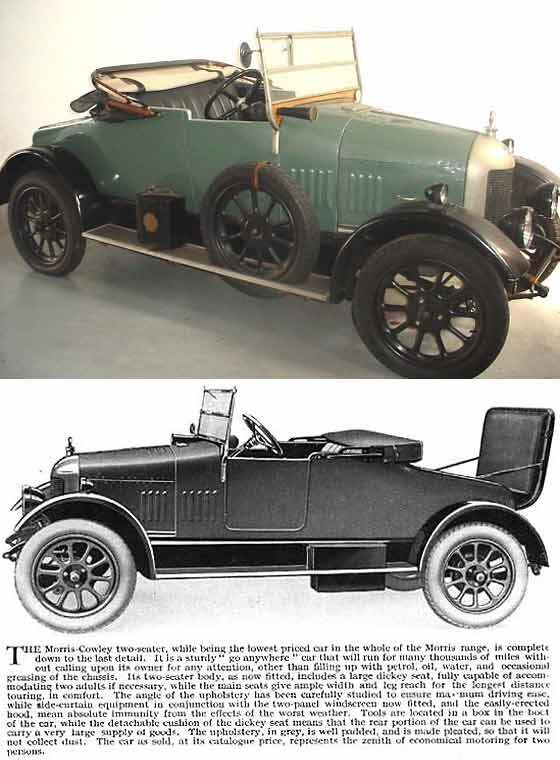 The one on the left is a Model A of approx 1920 and the two seater car on the right is a Model C of 1922, with the shorter C1 chassis. However, this does not date the photo ! Photo received from Martyn Treasure (UK) who is assisting in research for a local history project about people who lived and worked at a particular property. He came across the picture and requested identification. 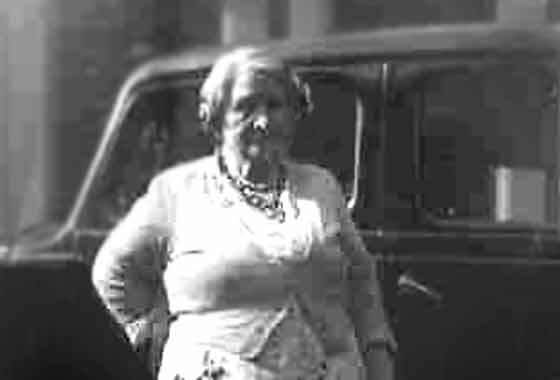 The car in the photo is a cca 1924 Wolseley 15 Tourer. The 15 was made between 1920 and 1927. This is a pre 1924 car as it appears not to have front brakes Registration PM is from East Sussex. 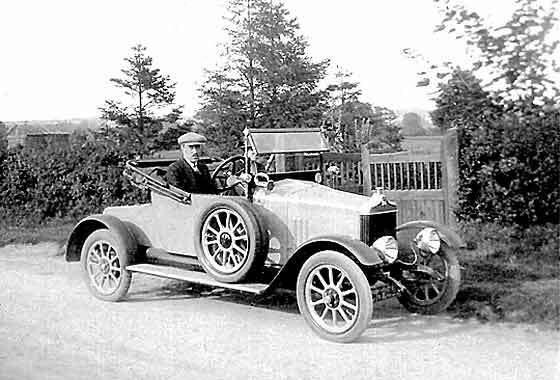 Picture received from Peter F. Guyton (UK) of his great uncle Harold Hartley Wilberforce of York who appears to have been a keen motorist and who owned a number of cars. This is a cca 1921 Standard two-seater. 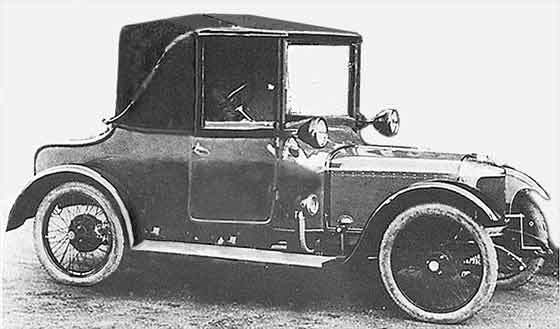 In the 1919 to 1923 period a number of very similar cars were developed with initially sidevalve (SLS) and then overhead valve (SLO) engines with power outputs from 9.5 to 11.4 HP. 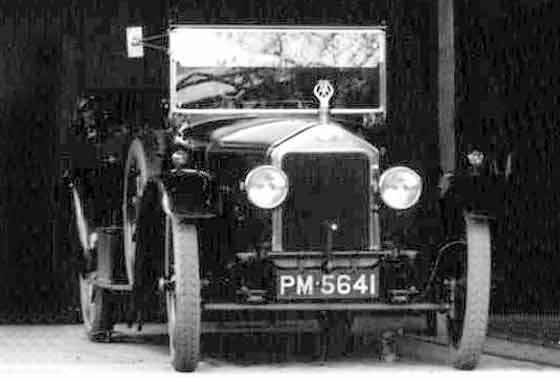 The position of the headlamps and the radiator emblem suggest that it is a pre-1922 car. Hans Zwets contacted us from the Cape Peninsula in (South Africa) saying they were planning to buy a 1923 Bullnose Morris Cowley. This is a two seater coupe with a dickey seat but the photo they had received didn't show the dickey seat extended. They were interested to know if the dickey came as standard. Literature of the day indicated that dickeys were fitted as standard. They subsequently purchased the car. 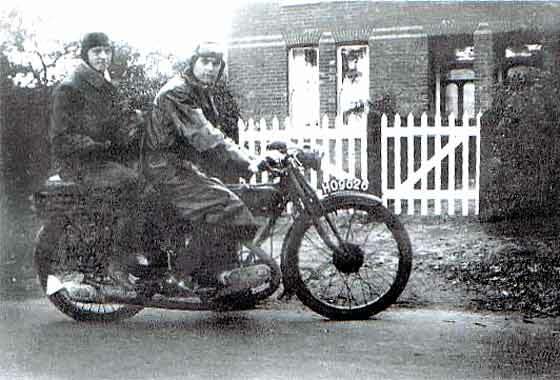 Picture received from Mrs Bobbi White of Dorset (UK) of her father's motorbike taken in Mytchett in the 1920's with her uncle on the back. She thought it was an Ariel and wanted to know if the bike has survived. 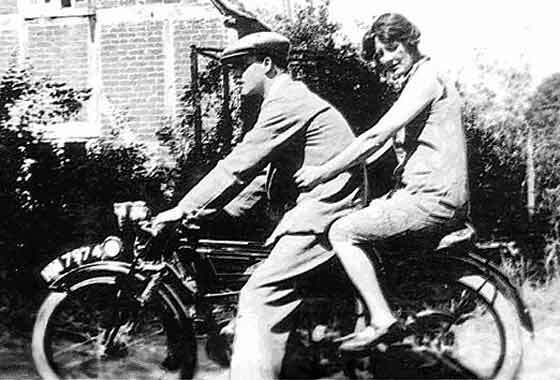 Our experts suggest it is most probably a 1925/26 AJS 350cc registered in Hampshire, Southampton. Reg HO 9626 does not appear to be on the current DVLA register so the bike may not have survived. 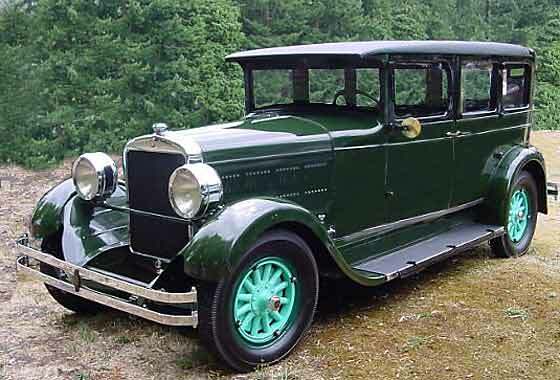 Mark Munsey from the (USA) contacted us saying they own and are restoring a 1927 Gardner Sedan and wanted more information on the make and 'owners clubs'. We are not well versed on the old car scene in the US so would welcome any information that we can pass on. Garner, first in horse drawn buggies, then assembling Chevrolets, made cars in St Lewis between 1919 and 1931. Well made expensive 4, 6 and 8 cyl. cars fitted with Lycoming engines. Finished with a front wheel drive Six. Photo received from John Richardson (UK) passed to our motorcycle expert Robin Vince. Acetylene lighting and forks with side springs indicate late twenties. Thoughts it being a Raleigh were discounted as neither they, nor other lager manufacturers, used side spring forks. During the 20s a myriad of small manufacturers produced only a few machines. Possible is a 1927 Radco 247cc, registered East Ham. Help? Lovely photo received from Dave Cooper (UK) of his 1929 Rover 10/25 which he was going to sell. He therefore wanted to have some idea how much it is worth. 15,000 of these cars were made in the period 1927 to 1933. These cars were marketed as the Nippy Ten. Current book values range from £7,000, concours, £4,000 good and £2,500 rough. Good example was recently estimated for auction as between £6 - 7,000. From the picture, it is possible this one would be up in the upper band. Photo received from Peter McGuire (UK) requesting identification. Our Morris expert Chas Moody advises it is a cca 1929 Morris Cowley, not earlier than September 1928 and up to 1930. Registration is Middlesex and appears original. 1929 model has one-piece domed mudguards with the pressed steel cross-member supporting the headlights. 1929 Cowleys had solid nickel radiators and 1930 had them chrome plated. Car is relatively rare and not on B&F Register. Information requested. DATING OF PHOTOGRAPH: cca 1945 ? Picture received from Cynthia Seymour (UK) requesting approximate dating because somebody believed the lady had died in 1926. From the photo, the earliest dating would be 1939/41 period. At this time cars became curvy, windscreen angled, and the leading edge of the roof curved. If the car was second-hand, it is quite possible that the photo could have been taken post-war. This could take it into the late 1940s. The clothes suggest a date even more recent, possibly even the fifties. 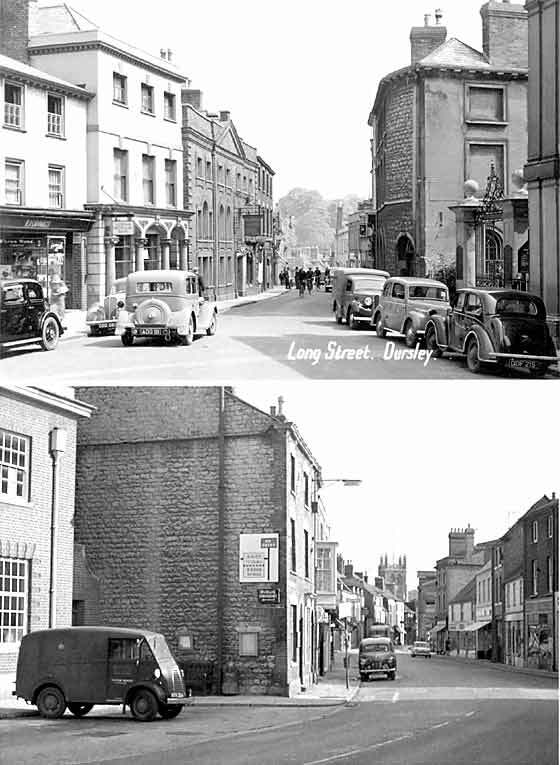 Two photos received from Andrew Barton (UK) requesting identification of a number of cars. He was trying to collect information for a local history group. The cars are (left to right) half back Rover 12 Sport cca 35; half front Singer 10 or 12 cca 39 (probably); back Rover 10 cca 35; far back Ford V8 Pilot (probably); Hillman or Commer Van cca 39; Austin8 Hp cca 39; Morris 8 series E cca 39. Second Photo : Morris Commercial Van mid 50s; Austin Devon Van ; Mini. The photo is post 59. Photo taken approx 15 years ago received from Paul Cutler (UK) of a 1946 Austin Pantechnicon removals van which had belonged to a friend's late father who used to collect commercial vehicles. It had a lot of money spent on restoration costs but unfortunately since then it has been living in the garden and is a bit worse for wear. The rear panel section has colapsed but it still has all wheels/cockpit/engine etc. Free to anybody who wants to restore or use as spares. Will need collecting. 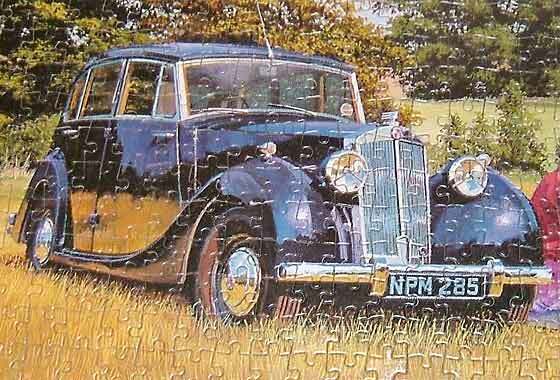 Photo of a jigsaw received from Margaret Leggett (UK) saying it was a bit of a cheek, but could we identify the make of the car. It had caused a lot of arguments over the Christmas period. The car in the jigsaw is a Triumph. The razor-edged design was introduced in 1946 initially as the 1800, then in 1949 as the 2000 and later in 1949 as a series of Triumph Renown models. These were made until 1954. The razor-edged body style was also used on the smaller Mayflower models, which this is not.